Hola mis amigos y familia! It was definitely a notable week. First off, Nxxx and Dxxx are going to get baptized next Saturday! We are super excited!! We're not sure how it's going to work with the capilla abierta the same day, but we'll make it work. We taught them this week about the Word of Wisdom, and the importance of reading the scriptures and saying prayers every day. Their mom, Hna Mxxx is awesome, as well! She has been a member her whole life, but was inactive for a long time. Elder Thompson and Elder Llanos visited her a lot, and helped to reactivate her, and she is at the church all the time now. The other day she was here with the relief society president, helping to clean out the closets and organize all the teaching materials. And now her two sons are getting baptized! Woohoo! We also continued our tour of the mission, passing by Rafaela, Sunchales and San Cristobal! It's pretty fun to get to know other parts of the mission, and see the missionaries in all the different parts. In other news, I was basically confined to the office this week, because I got an ingrown toenail... I'm not exactly sure how that happened, but basically I lived the whole week in flip flops. 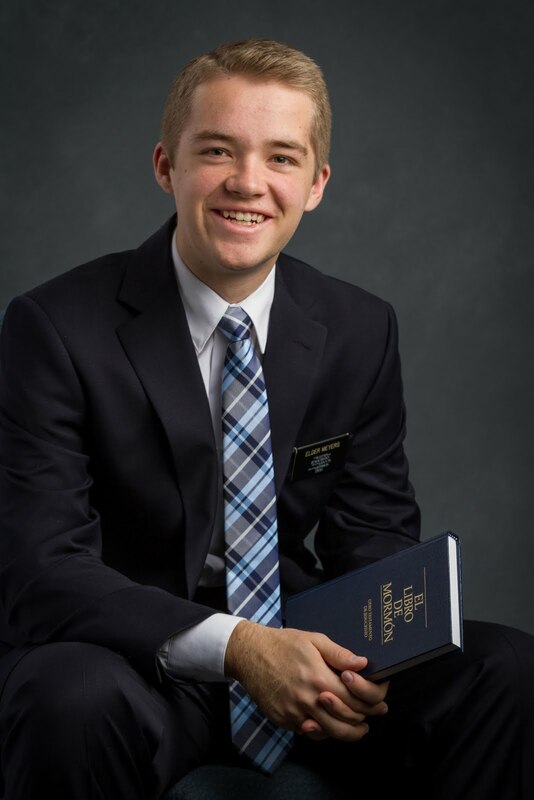 I wasn't able to teach very much, but we organized lessons in the church, and we went to a couple of appointments in taxis, and then the rest, Elder Carrion did splits with other missionaries to be able to visit everyone. It's been a little frustrating, because all I want to do is go out and work every day and teach and invite people to come unto Christ! But. The Lord is testing my patience, and knows what we need to grow and progress. We only have to submit ourselves to the Lord's will, accept His timing, and then do everything in our power to make righteous choices, and we will be blessed. This last Wednesday, we had a worldwide missionary training meeting. It was really cool! It was given by the Missionary Executive Council, which consists of Elder Oaks, Elder Bednar, Elder Andersen, Elder Nielson, Bishop Waddell, Sister Oscarson, and Stephen Allen, the managing director of the Missionary Department. They did it in a different format. First, Elder Nielson, the executive director of the missionary department, gave a video tour of the offices of the missionary department, showing the map of all the missions of the world, along with the wall with the pictures of all the mission presidents in the world. He then took us to the room where the council meets, and then it was basically like we were participating in a meeting of the Executive council. They started with a prayer, and then they had a normal meeting, presenting items on the agenda, discussing what they hoped that the missionaries could learn, and suggestions for how to better understand the doctrine of Christ and how to better teach it. Every once in a while, Elder Oaks, who presides the council as the senior apostle on the council, would say something directly to the missionaries, like, "I hope you caught that," or, "Please remember that...". They reviewed a lot of the points that they taught last year in the worldwide training, with the huge focus being to teach repentace and baptize converts. It was amazing. At the end, they announced two big policy changes for missionaries. First of all, after a lot of consideration, they decided to give more flexibility in the missionary schedule. It is now, rather than a set schedule that we follow every day, more a list of tasks that we need to accomplish each day, and we as a companionship take the freedom and responsibility to make sure we get them done during the day. We still have a set time to get up in the morning, and it is suggested that we do personal study and exercise in the mornings before going out, but then it is up to us to decide when we will do companionship study, when we will eat, when we will plan, etc. including more flexibility in how long we study, based on the needs of the day. They also cut down on the study time on pday, hoping that we can now accomplish everything we need to on pday so that we can have more time during the week to be focused 100% on the work. The other change was that instead of reporting 9 key indicators (numbers that we report each week like baptisms and lessons taught), we now only report 4, with the idea that we can focus more on our central purpose, which is to teach repentance and baptize converts. It was an inspired meeting. As I was pondering throughout the week after the training, I thought a lot about why the apostles and prophets are putting so much emphasis on repentance. Repentance is a key and essential principle in the gospel of Jesus Christ. It is basically the driving principle in the plan of salvation. Without repentance, we cannot progress, we cannot change, and ultimately cannot return to the presence of God. Without repentance, we are lost. Repentance is also more than something we do after committing a large sin. Rather, it is a manner of living, a lifestyle through which we constantly change and progress. It is being humble, teachable, relying wholly on the merits of Him who is mighty to save. It literally brings us closer to God every time we do it. It is how we turn to Him, and experience that might change of heart. Repentance is the action that comes from faith. Faith without works is dead, and as Christ taught repeatedly in His Sermon on the Mount, we must not be hearers only of the word, but doers also. If we have faith in Him, we will act and repent. That is the doctrine of Christ. I know that repentance brings us closer to Him, and that through it we can become like Him. May we repent every day, constantly relying on the power and grace and mercy of our Savior Jesus Christ!